Take a tour of the PJ Masks’ top-secret headquarters—and help the heroes catch Romeo—in this sweet novelty board book based on the hit preschool series PJ Masks airing on Disney Junior! Every PJ Masks fan knows that headquarters is the cat’s whiskers! Catboy, Gekko, and Owlette each have their own floor all to themselves, and they use the PJ Picture Player to stay one step ahead of the villains. But when Romeo breaks into headquarters and tries to claim it for himself, it’s up to the PJ Masks to stop him! Young readers will love lifting flaps to search for Romeo, pulling tabs to move our heroes from one floor to another, and sliding windows open and shut to make Romeo and the PJ Masks teleport in and out of headquarters. 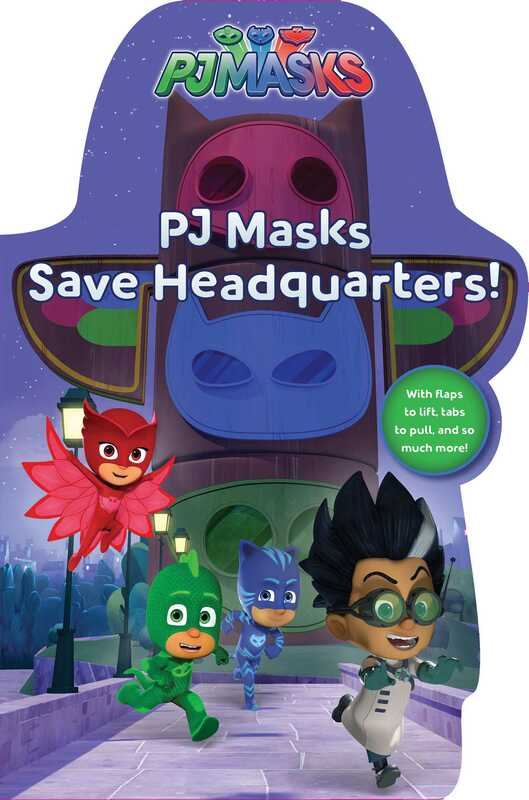 Book Cover Image (jpg): PJ Masks Save Headquarters!